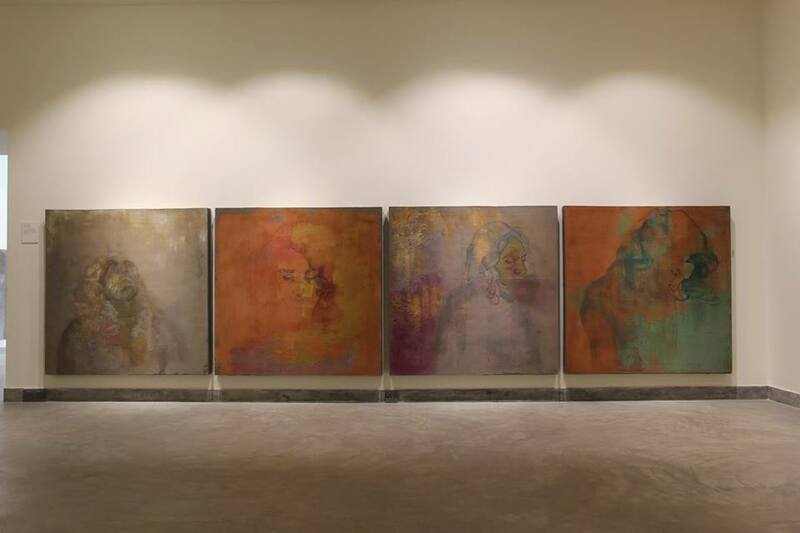 Predominantly a body of work about spirituality and exploration of divinity through the lens of Islamic virtues, a solo show by artist Sana Kazi opened at Koel Gallery in Karachi on March 26, 2019. 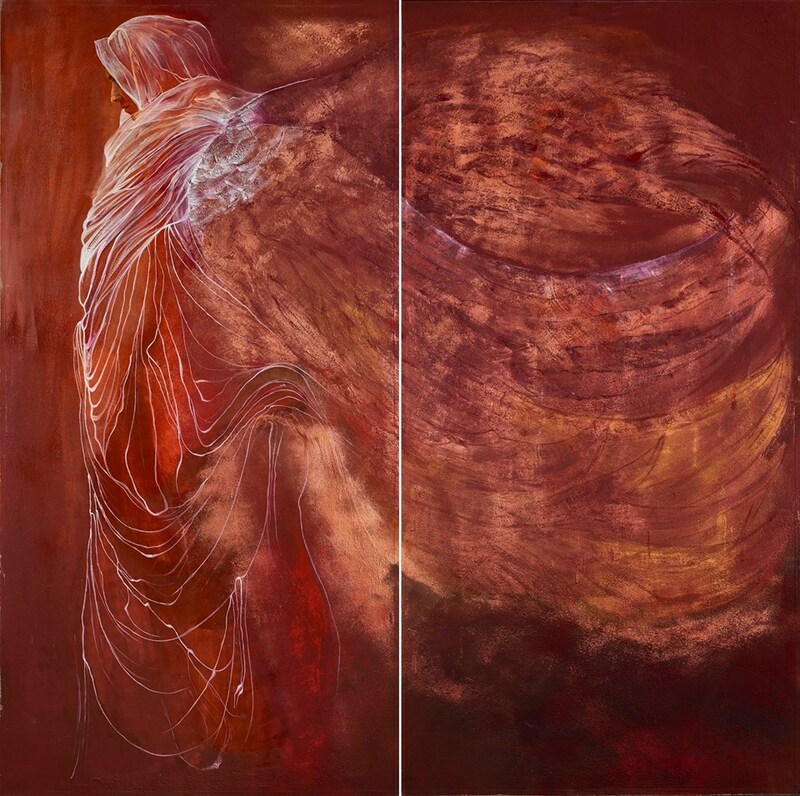 Titled ‘Intercessor’, the show acts as a continuation of the artist’s ongoing practice, utilizing ideas of love, peace, humanity and memory. Kazi draws her inspiration from a salutation written in the name of God called the Darood-e-Taj (Salutation of the Crown). Written by Imam Abu Bakr ibn Salim, the Darood-e-Taj is recited by Muslims when seeking protection from grief, disease, or to repel external evils, while also to instill ‘love and light’ of God and the Holy Prophet (PBUH). What Kazi aims to do is represent her idea of prayer and spirituality in a way that becomes tangible, through painting. By definition, an ‘intercessor’ is one who intercedes, mediates or speaks on behalf of another, in the form of prayer. Acting almost like a moderator between the physical and the spiritual, Kazi seeks to create a bridge between the two to reach some kind of unison, while trying to interpret words from this salutation in her own way. 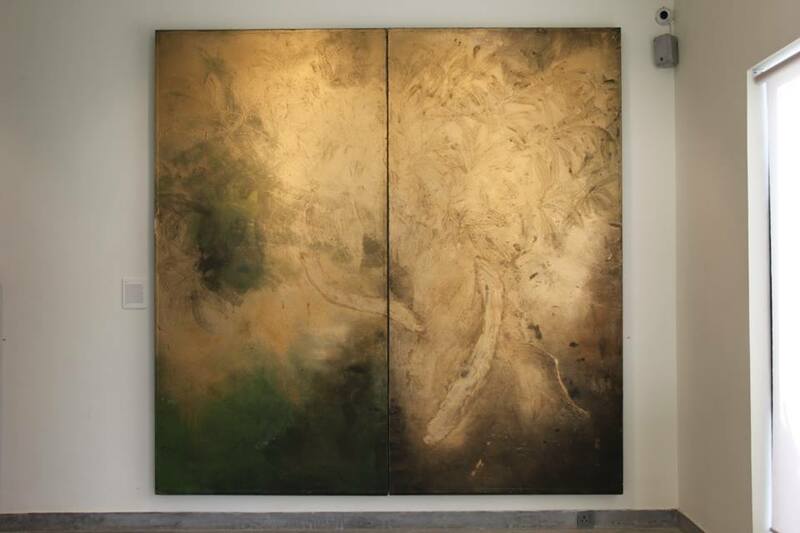 “The painting ‘Servant’, is more of a personal analogy, with the artist, who feels, in striving to follow the right path, and obey the commandments of God, shall bring her, her ultimate flight, freedom and salvation”. Her large-scale paintings create patchy, diluted-looking surfaces, aiming to mimic a vague visual of foggy thoughts and memories. 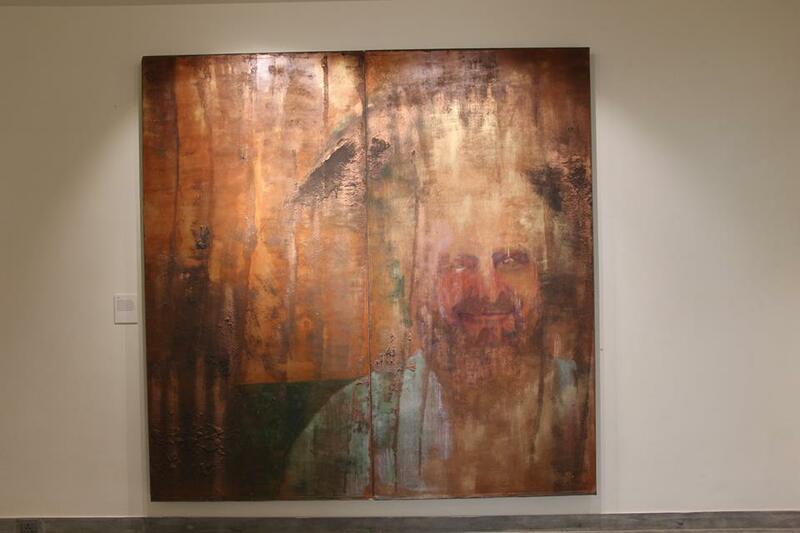 The faces in Kazi’s paintings struggle to be seen and still somehow manage to grab the viewer’s attention. The overlay of chalky pastels and rough layers of impasto hold an air of ambiguity and covertness, the figures made to look almost as if they were deeply submerged in their own prayer, overcome and clouded by their surroundings. The shape of a circle is often repeated, perhaps highlighting cosmic patterns in the universe that also highlight ‘perfect unity and completion’. Perhaps like the Darood-e-Taj, Kazi also aims to find comfort through recitation and prayer, seeking to create the same kind of peace and tranquility through her work. The verse is also popularly recited to feel closer to the Holy Prophet (PBUH), even wishing to seek him in their dreams. Similarly, Kazi aims to achieve that same kind of closeness, using her work to reach a sense of completion within her own self. The show continues at Koel Gallery till April 4, 2019.